Continuing to build its Air VaporMax Moc 2 lineup, Nike recently put together a “Triple Grey” colorway for its laceless Air Max model. Sporting a uniquely technical look, the latest colorway features a light grey Flyknit upper accented by grey-toned heat-welded overlays. Additional adornment comes in the form of a dotted “Air Max” pattern on the lockdown elastic strap and 3M hits at the tongue and heel tab. 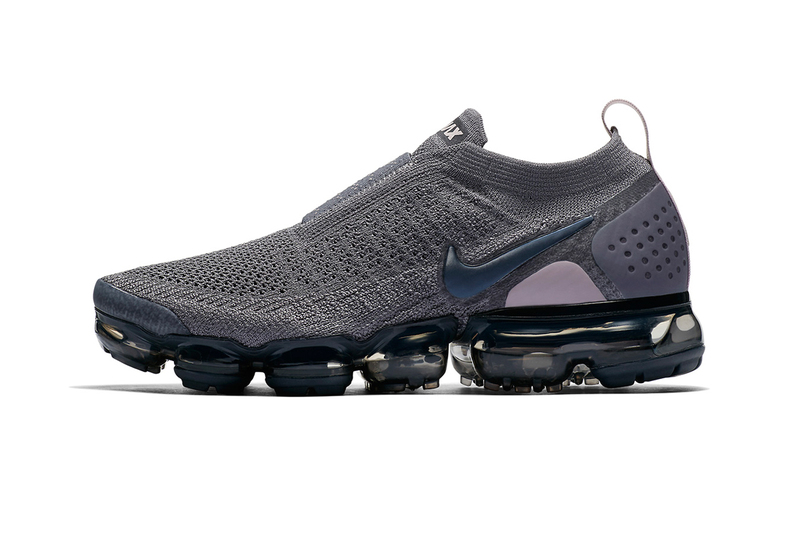 A full-length semi-translucent dark grey VaporMax sole unit rounds up the design of the shoe. Priced at $200 USD, the Air VaporMax Moc 2 “Triple Grey” is set to release at Nike Sportswear retailers come August 16. For more Nike, the popular Epic React runner recently received a washed “Plum Dust” makeover. Gunna also shows up for the visual.